Open the main window of your antivirus. To do this, click on the right mouse button on the bear icon that appears on the taskbar, and select the option for the product you have installed. From the menu represented by three horizontal bars, select the Settings option. 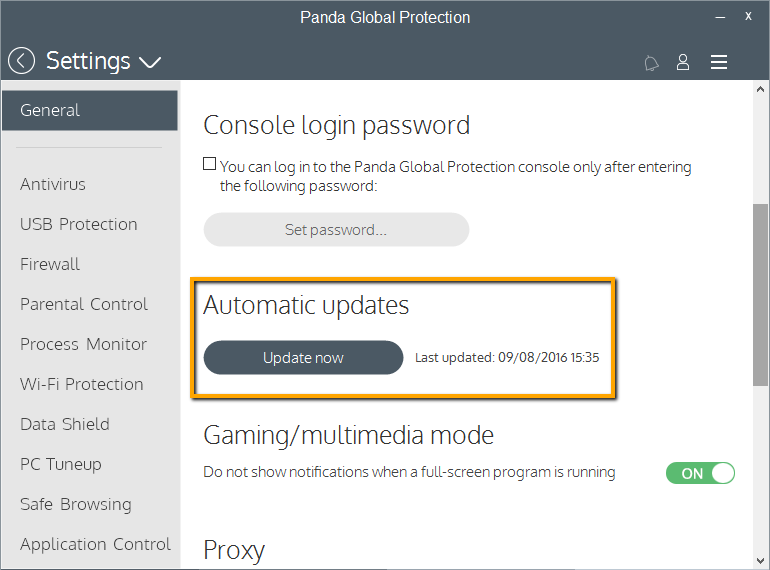 Now, check the date on which the last automatic update was carried out from the Updates section. Remember that you can always update your antivirus manually by pressing the Update Now button.